Hi Resin Crafters, it’s Natalie from Doodlecraft showcasing another unique resin craft. 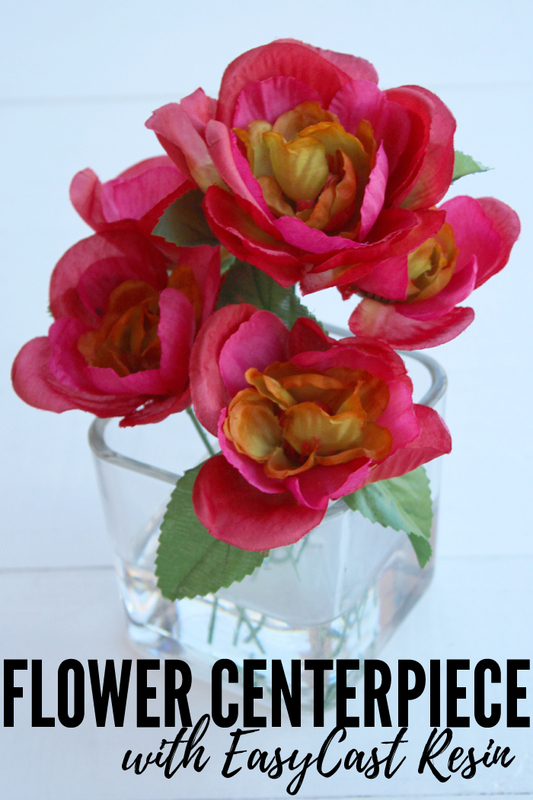 This stunning flower arrangement is especially perfect for a decorative centerpiece. 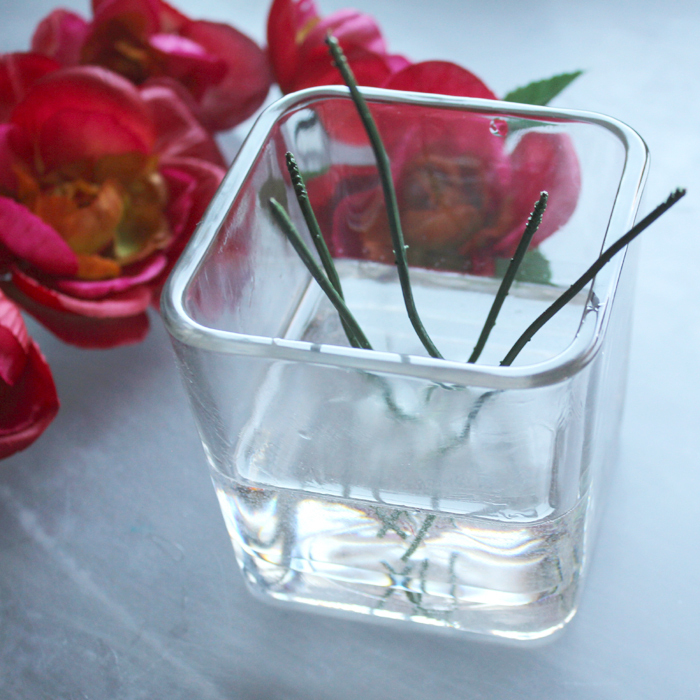 This flower centerpiece is simple to make and great for a wedding, party or just for the entry table during Spring. It has the appearance of water, but the flowers are secure and will always look amazing. Create a bouquet of any color or a vase of any size. 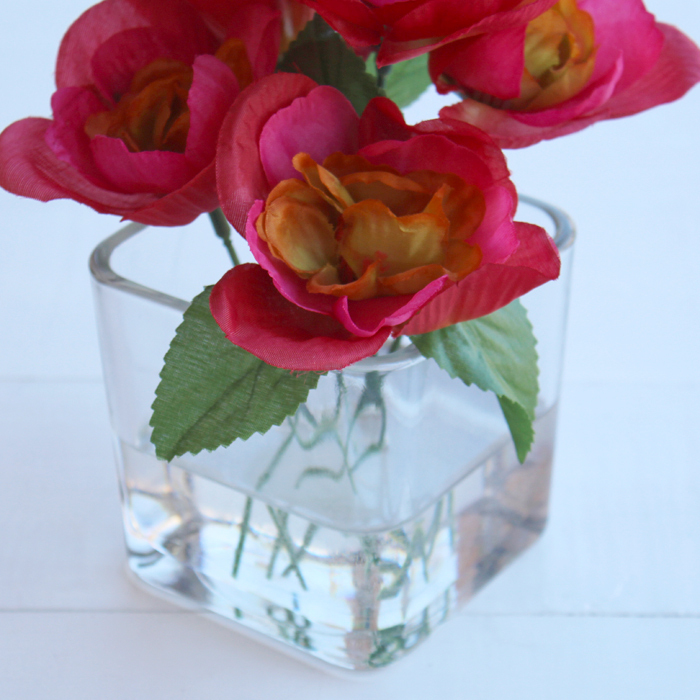 This centerpiece would make a great decor piece for Spring, Easter or Mother’s day! 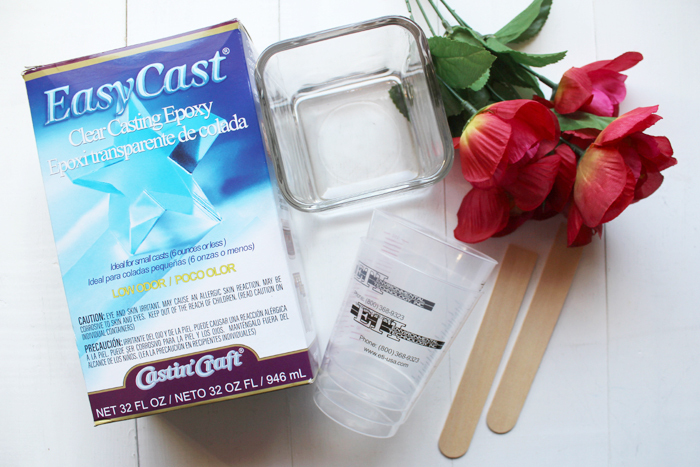 Step one, mix 8 ounces of EasyCast according to the package directions in the 2 phase process. 4 ounces each of the resin and hardener. Then stir for 2 minutes, pour into the second mixing cup and stir again for 1 minute. Next, pour the mixed resin into the shallow vase. 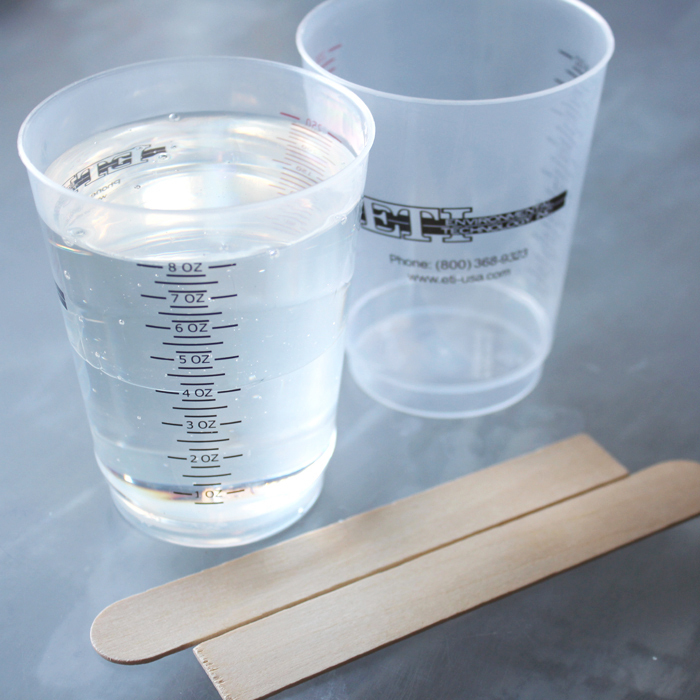 Let it set for twenty minutes and then use the torch, heat gun or blow through a straw to pop any bubbles that have formed. 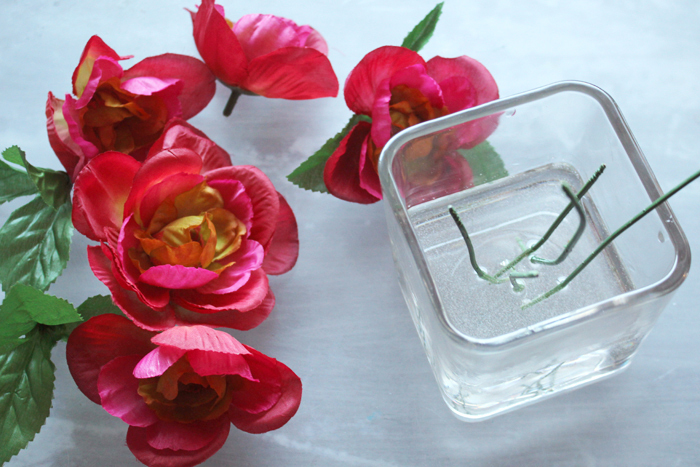 Then pull the buds off the stems and insert them into the resin when it is thick enough to hold them in place. Then let the resin set overnight. The next day mix up another 8 ounces of resin the same as done previously. 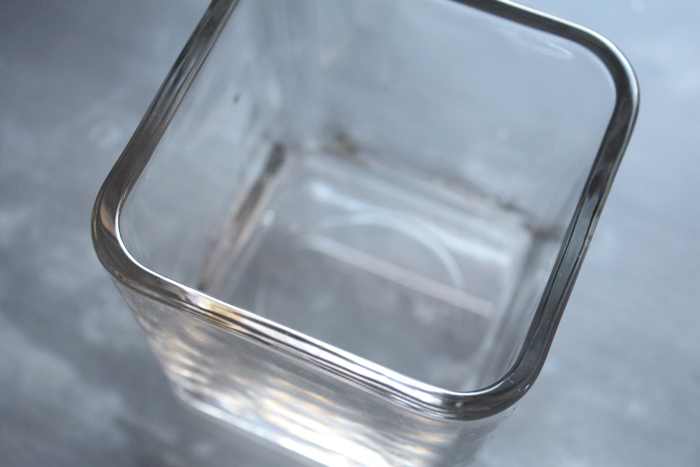 Then pour it into the vase and let the resin cure overnight. After the resin has cured, place the leaves and buds back on the stems. 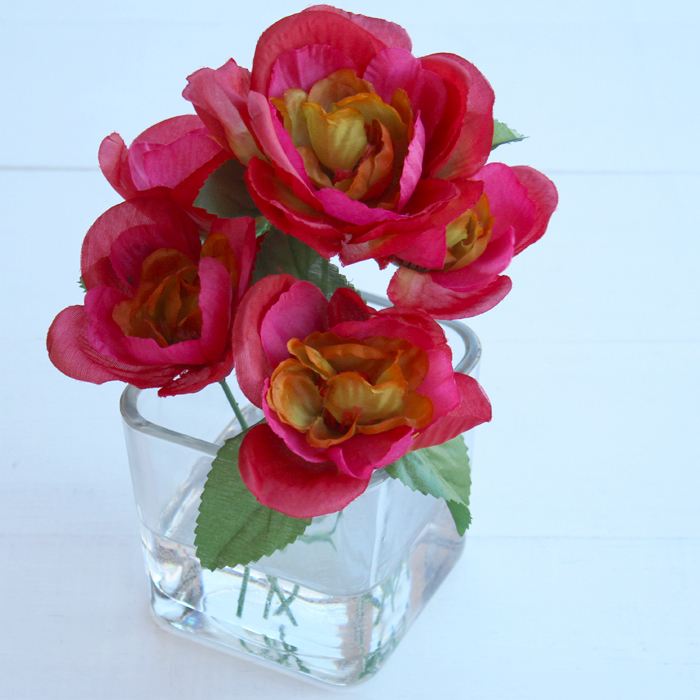 Make one for every table–any size and with any variety of silk flowers! 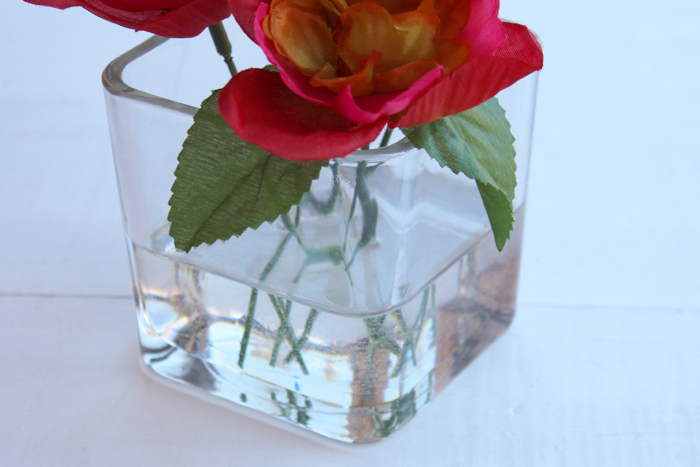 When my son saw this centerpiece, he thought they were really in water–success!